Sunlast Metal supplies our customers with quality metal roofing products for their residential, commercial, and industrial needs. We offer direct sales to roofing distributors and contractors throughout the world. By using products from Sunlast Metal, you can rest assured that our products are tested and are in compliance with Florida's and Texas’ most stringent guidelines. We ensure our products are in compliance with the latest guidelines through our innovative testing program. 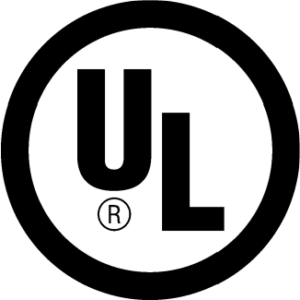 Our products and panels systems are in full compliance with Florida State Wide Approvals, Miami Dade County product Approvals and Texas Department of Insurance. Our Jax Beach Series (1.50" Clip Less Snap Lock), Stuart Series (1" Nail Strip), Palm Beach Series (1.50" Mechanical), Miami Series (1.75" Snap Lock), Orlando Series (2" Mechanical) and Econo line 1.0” Clipless Nail Strip, 26 gauge and .032 Aluminum panels are standing seam roof systems with concealed fasteners to allow for a much cleaner appearance. 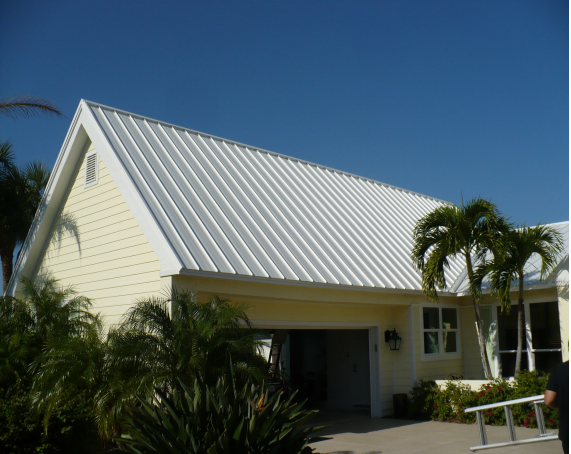 Our Key West Series metal roofing panel is a 5-V Crimp (5V) panel and Ocala Series metal roofing panels is a PBR panel that offers our customers with the ability to cover a large span with minimal materials. Metal roofing is on the leading edge of today’s technology with Energy Star coatings - in a wide variety of colors to choose from. These coatings reflect a high percentage of solar energy back into the atmosphere, ultimately reducing heat build-up in your house. A metal roof can reduce your peak cooling demand by 10-15% (on average). Properly installed, a metal roof lasts as long up to 70+ years. Metal is resistant to fire (class A rating), mildew, insects and rot. In Florida - with heat, wind, humidity, and temperature extremes - this advantage can be even greater. As a result, it is the first choice for most schools, government, commercial, agricultural and industrial buildings. The proven durability of Kynar 500® PVDF resin systems allows for stable color & film integrity over decades of exposure. This durability is also repeated in the retained amount of the initial solar reflectance. Panels with Kynar 500® resin have a surface that is resistant to dirt build-up, remains cool, and retains its original color better than any other resin type. Most colors meet Energy Star® . 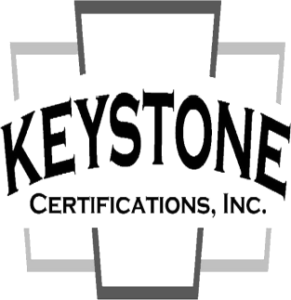 LEED® , and Cool Roof Certifications. Sunlast Metal Galvalume roofs are made of on the average 25 % recycled materials; our Aluminum roofs, on average, are made of 85% recycled material; and the end of their long, long lifespan, either roof is 100% recyclable! A. Metal roofs does involve a large up-front cost, residential homes can expect the cost to be higher cost for metal roofs to a shingle roof. A metal roof will add to the resale value of your home, save you money on your energy bills, and give you piece of mind that you'll likely never have to re-roof again. Q. How much longer will a metal roof last than common roofing like asphalt or wood shingle? and tile have varying degrees of weather-related problems that lead to breakdown. These are all welloutlasted by metal roofing, which retains its good looks and durability decade after decade. A. YES. Not only is metal roofing great for your home, it's great for the environment. Metal Roofing is 100% recyclable. According to the National Association of Homebuilders Research Center, 20 billion pounds of asphalt shingles are dumped into U.S. landfills every year. While metal roofing has been popular for decades with agricultural and industrial buildings, in recent years metal roofing has become the roofing material of choice within the architectural community for commercial and even residential homes. Architects who favor metal like it because it is attractive, lightweight, fire resistant, and durable. Architects can also specify a wide range of colors. According to the Metal Roofing Alliance, a metal roof will last two to three times longer than a traditional asphalt shingle roof. Once apt to corrode, especially in seaside applications, metal roofs can also be produced in aluminum to prevent salt spray rust. Most steel metal roofing has a 'metallic coating' made of either zinc (Galvanized) or an aluminum-zinc (Galvalume) coating which prevents rust from forming and is bonded to the steel at the factory. Kynar 500® resin is then applied over the coating to provide the long-lasting color the homeowner or architect desires. At Sunlast Metal we ALWAYS offer Galvalume as a standard on our mill-finish metal roof panels, and Kynar® 500 FSF as a standard on our color coated metal roof panels, because we want to make sure that the products we offer to our customers last a lifetime. Metal coatings allow metal roofs to last longer than any other type of roof including asphalt, slate and concrete. As mentioned earlier, metal roofs historically had higher costs due to higher installation and material costs. However, as the cost of oil based asphalt shingle has risen and metal prices have fallen; and as more roofing contractors have gained experience in the installation of metal roofs, the relative products cost have dramatically been reduced. Because of metal's fire resistance, home buyers in almost 20 states can receive up to a 35% discount on their insurance premiums. Additionally, metal roofing can save up to 40% in annual energy costs, and some systems qualify for the Federal Energy Tax Credits. Over the span of 70 years, building owners may expect to 3 to 4 replacement of asphalt or tile roofs while metal roofs are expected to last for the life of the building. In addition, metal roofing is highly valued as one of the top renovation-friendly building materials for rehabbers and new home builders alike. As reported by Remodeling Magazine, resale values for homes renovated with standing-seam metal roofing can be as high as 139% (noted in Miami, FL.) The national average recoup rate is 85.9% with up to 95.5% for homes in the Eastern states, 6% higher than the resale value gain over homes roofed with asphalt. As more homeowners seek out energy-saving building materials for their renovations and new homes, they will turn to metal roofing which is not only secure and improves structures but also provides long-term cost-cutting on energy bills while promoting environmental and economic sustainability in the greater community. "Cool metal roofing" can save a household up to 40% of its annual energy costs, depending on the geographical region. In the past, sales of metal roofs for single-family homes were concentrated in regions where specific conditions demand a utilitarian approach to building. 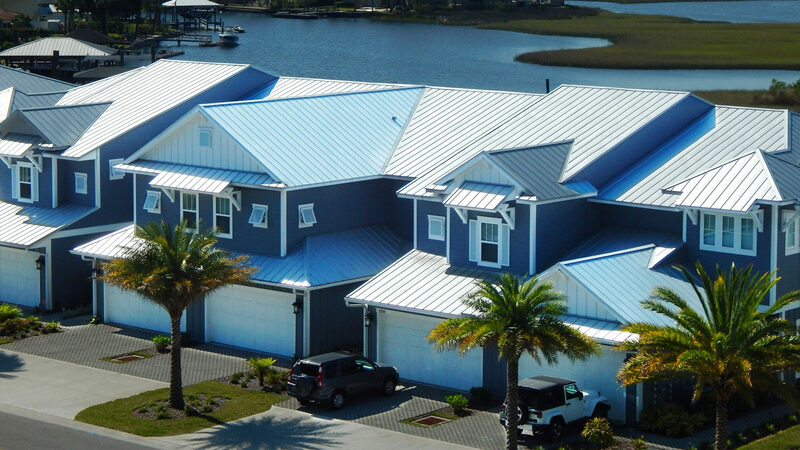 Metal roofs are fire resistant, hold up well in storms and against hail; the southeastern hurricane coast, western wildfire zones, and snow-heavy areas in the west and northeast have historically seen the majority of metal sales. With the mainstream growth and demand for green products, metal roof sales are expanding nationwide. Metal roofs are better for the environment than other roofing materials as they are made with up to 30% recycled material. In fact, Aluminum roofing contains approximately 75% recycled material. This level of recycled content reduces both the cost and environmental impact of making new steel, as it conserves energy and other natural raw materials. In addition to their recycled content, metal roof panels offer the added benefit of being recyclable at the end of their "useful" life. For example, while other old roofing materials are dumped by the ton in landfills, the steel, aluminum, copper and zinc used in metal roof panels are 100% recyclable, contributing to future products' recycled content. Moreover, in many retrofit applications, metal roofs can be installed over old flat roofs. This eliminates the need to remove the old roofing material, and helps preserve valuable landfill space.